Voice and gesture controls will let you find dancing cat videos right out of the box. 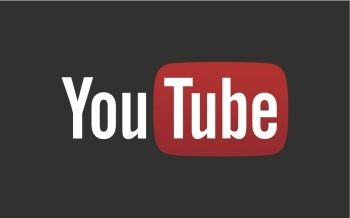 Microsoft officially announced today that the Xbox One will have a dedicated YouTube app. It was previously confirmed that YouTube would work through Internet Explorer on Xbox One, but the announcement of a dedicated app means finding some adorable corgi videos will be a bit easier. Voice commands for the app will include being able to start, stop, and fast forward videos. Gesture commands will let you scroll through videos and select one to watch. You will be able to access your channel subscriptions, subscribe to new channels, and see trending videos sorted by topic. The app supports streaming video quality up to and including 1080p. The Verge confirmed that the Xbox One app will support pairing with Youtube. Pairing the Xbox One app with your iOS or Android YouTube app will let you cast videos from your phone or tablet to the console. Snap mode, which lets you access apps simultaneously while playing a game, will not be available with the YouTube app at launch. Microsoft says that functionality will be added "in the coming months." The addition of the YouTube app distinguishes the entertainment options on the Xbox One from the PS4, which does not have a dedicated app. The PS4 still leads when it comes to livestreaming, however. Microsoft announced yesterday that the Twitch app for Xbox One will not support livestreaming at launch. The YouTube app will be available at launch in all markets except for Austria, Ireland, and New Zealand. For those countries, Microsoft says the app will be available in the coming days. The Xbox One launches Friday, November 22.